W.S. 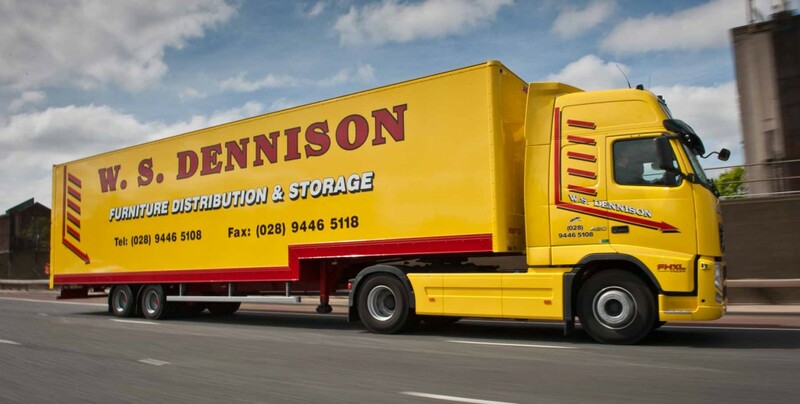 Dennison Ltd is the leading furniture storage and logistics company in Ireland. We specialise in providing furniture logistics services to manufacturers, importers, wholesalers and international and multinational retailers. Traditionally, our focus was on transporting goods from retailers and manufacturers to stores, but later diversified into home delivery. 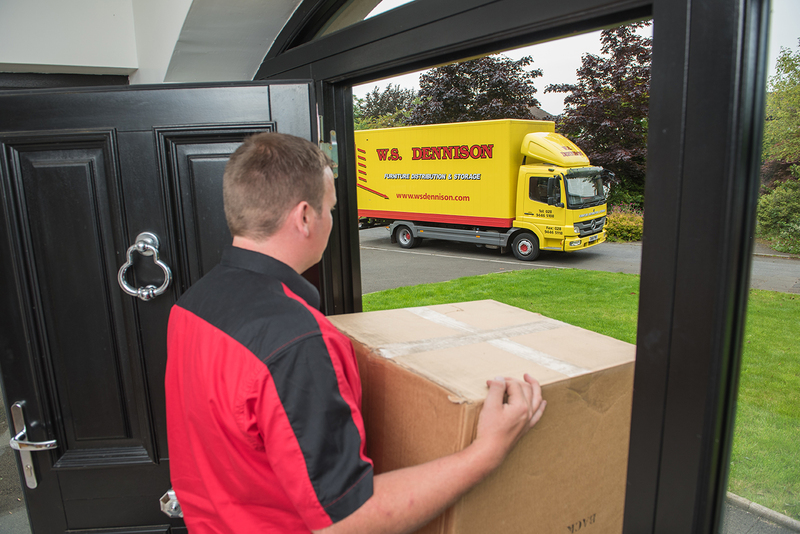 Having established an excellent reputation with our customers in the logistics sector, we realised that our expertise could also be applied to domestic and commercial removals. Founded in 1979, W.S. 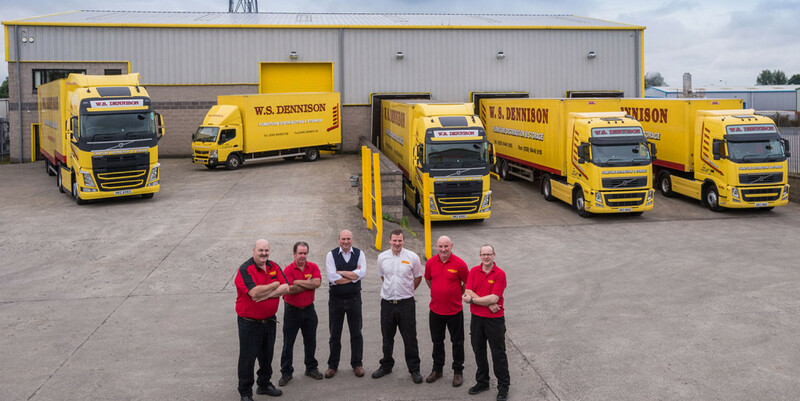 Dennison remains family-owned and operated, but with the support of a team of 30+ dedicated and highly trained personnel. We pride ourselves on providing a unique and personalised service. At W.S. 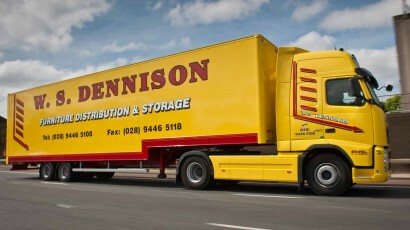 Dennison, we are not your typical Haulier. 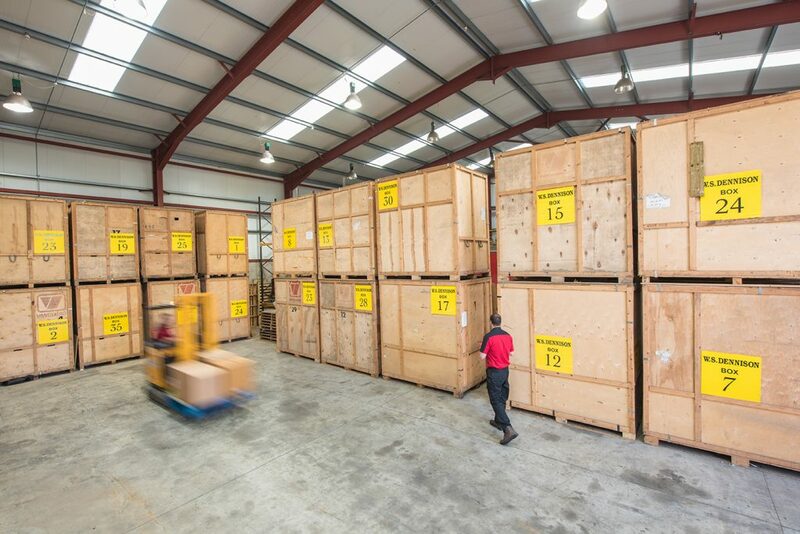 Because all we do is furniture (and some white goods), our entire supply chain is set up solely to facilitate the transportation and storage of delicate and high value furniture items. 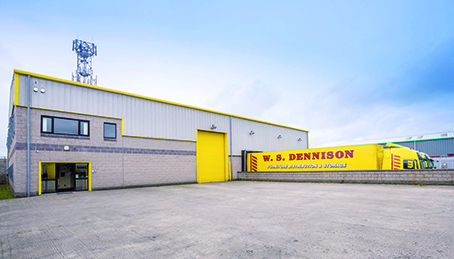 Operating from two strategically-located and purpose-built warehouses in Antrim (Northern Ireland) and Limerick (Republic of Ireland), which offer a combined 50,000 sq ft capacity, has allowed us to establish a reputation for reliability in the Irish marketplace because we are one of the few companies that can accommodate deliveries throughout the whole Island of Ireland. 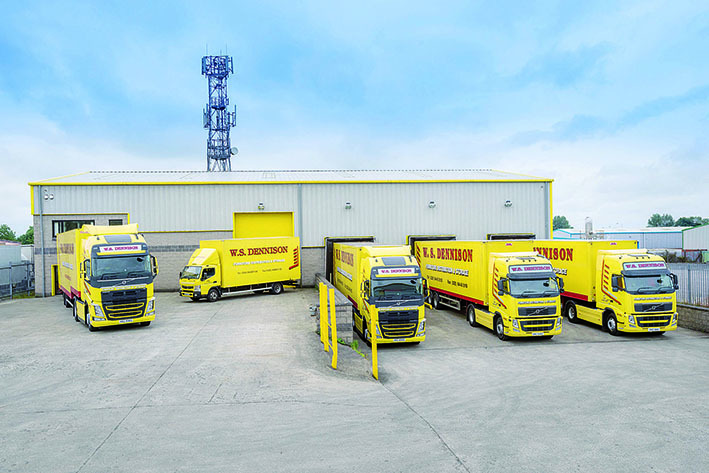 Our large vehicle fleet is bespoke to the particular demands of the furniture sector and loading and unloading of goods is, in the main, carried out manually. We do not use any form of mechanical aide and provide two-man delivery on every job. All of this minimises the risk of contamination or damage of goods in our care. Because we use only our own in-house team of highly trained and experienced warehouse operatives and drivers, we can offer full traceability and accountability, from manufacturer/retailer collection to end-user delivery. 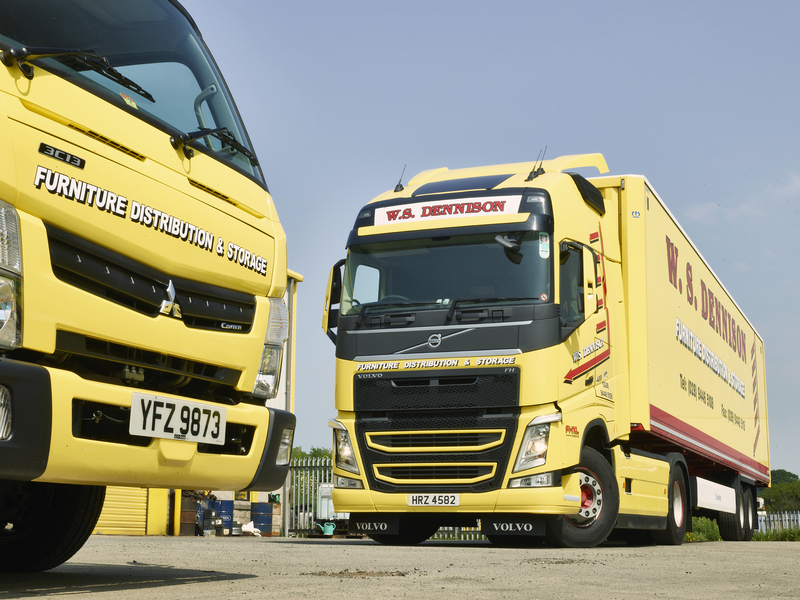 All delivery operatives are fully uniformed in branded clothing, and all vehicles are fully liveried in the striking W.S. Dennison colours. We offer collection from anywhere in the UK and delivery to retail outlets or end-users in every corner of Ireland. 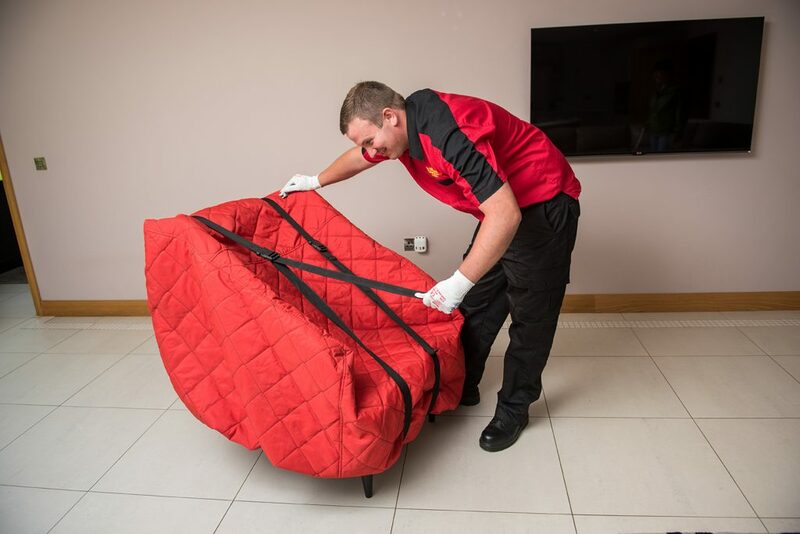 Our full range of services for retail delivery include full loads, part loads, ‘de-stuffing’ / reconsolidating, collections/returns and stock control, but we also specialise in two-man, ‘white glove’ home deliveries. 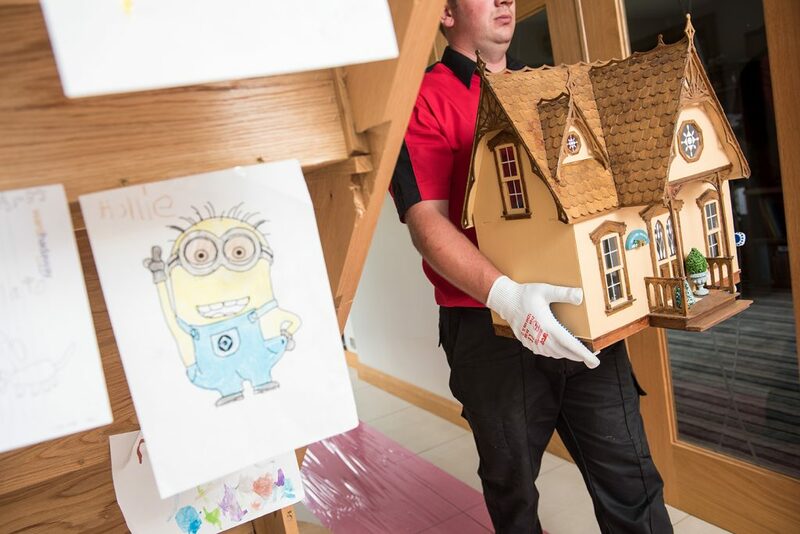 Since our beginnings in 1979, we have grown to become the leading and most well-respected furniture storage and logistics companies in Ireland, but remaining family-run, we pride ourselves on the level of precision, reliability and consistency provided in our service. Our business originated in this sector, carrying out retail deliveries to stores across Ireland for and on behalf of manufacturers, wholesalers and importers. We decant goods into our warehouse and consolidate these into viable loads to transport across the country. This allows customers to use our facility as an outsourced warehouse to store and distribute furniture efficiently and cost-effectively. Home deliveries are notoriously complex to manage, particularly in Ireland, but by outsourcing furniture home delivery services to W.S. 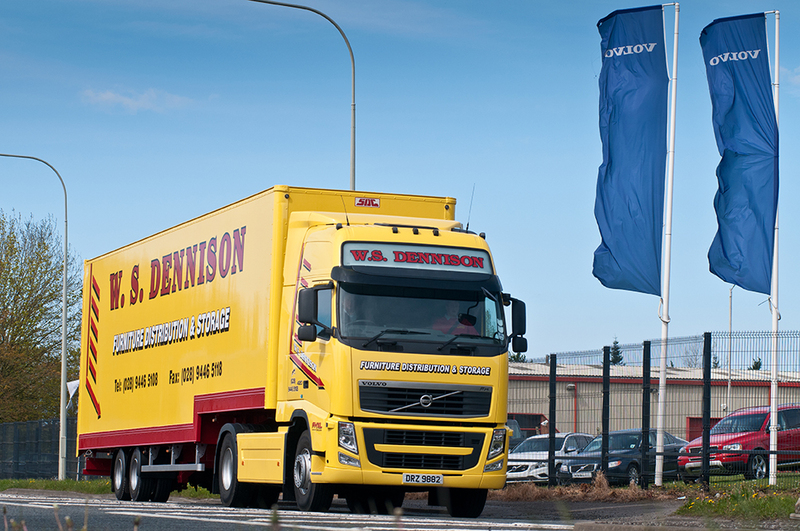 Dennison, customers can be assured that their customers will receive a reliable and outstanding service. We understand that people’s lives cannot be put on hold to receive a home delivery, and therefore provide a completely unique service level, from the pre-delivery communication to our approach to completing the delivery. We believe that communication is key, and we offer a flexibility that most home delivery companies cannot facilitate due to the disjointed nature of their supply chains. 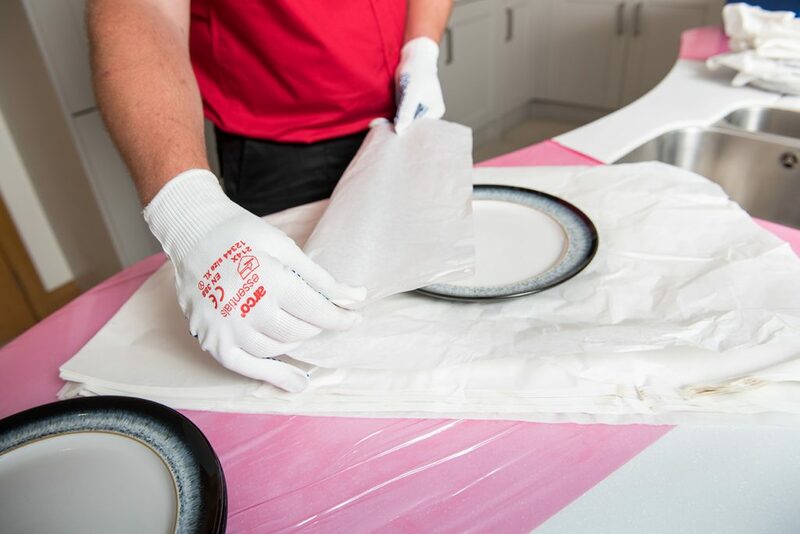 The fact that we use only our own in-house team of highly trained delivery crews sets us apart, because we can offer full traceability, accountability and efficiency of service, from manufacturer/retailer collection to end-user delivery. 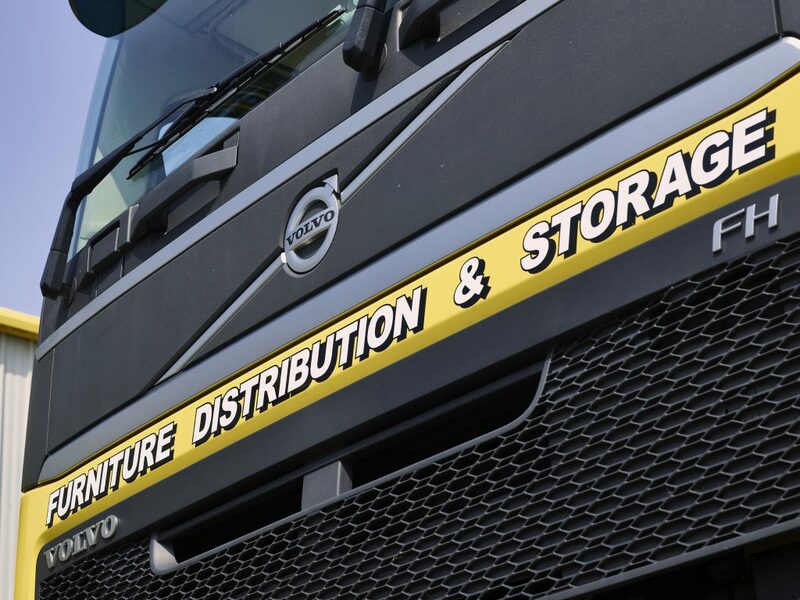 In many cases, our delivery crews could be the last or only point of contact the customer has with the brands that we deliver for, so it is of utmost importance to us that we act as an extension of the manufacturer or retailer’s brand experience. We have developed a very strong reputation for delivering a quality final mile service. Not only do we deliver to the room of choice, we also unpack and position the item in the room. If it is ‘flat pack’ furniture, we can assemble it or if it is an appliance, we can install it. 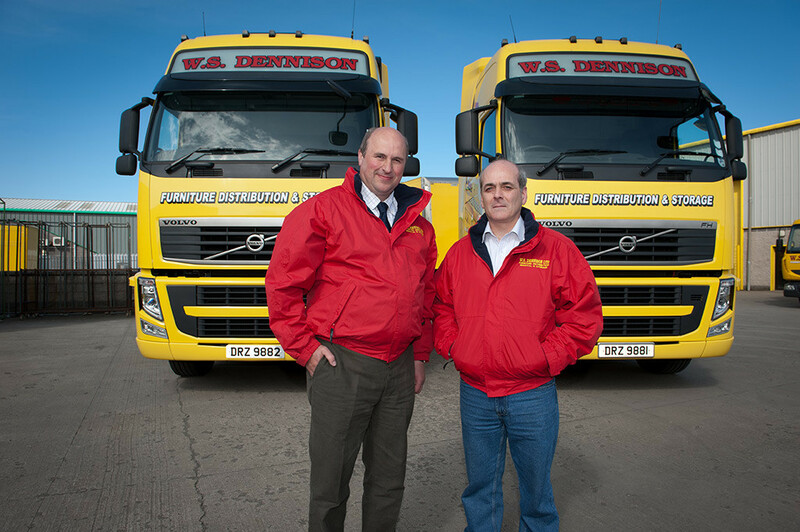 All deliveries are two-man operation, with fully trained and experienced crews. We provide a dedicated call centre, returned goods management service, disposal of end of life products and regular delivery KPI’s. 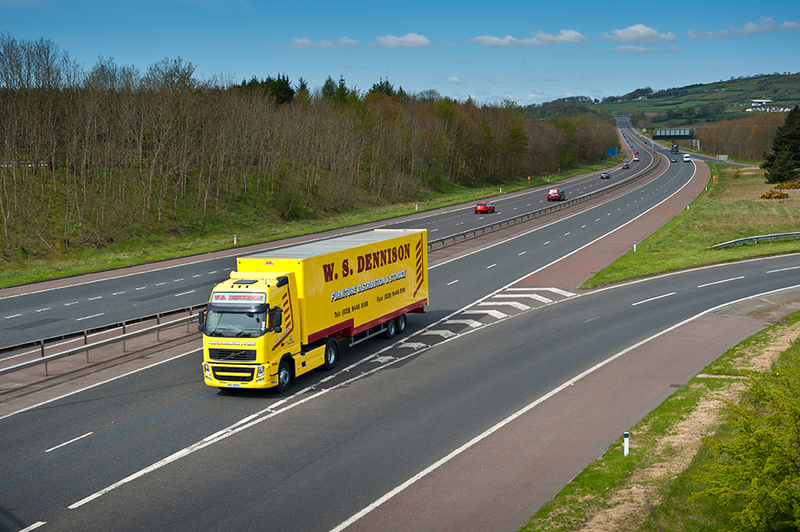 Because of the specialist nature of what we do, most haulage/logistics companies simply could not do what our home delivery team does. Few companies are geared up to handle delicate goods in perfect condition, on time, every time. We understand that items in your home, may not only have a financial value but also an emotional one. Our team of highly trained and experienced personnel underpin everything that we do. 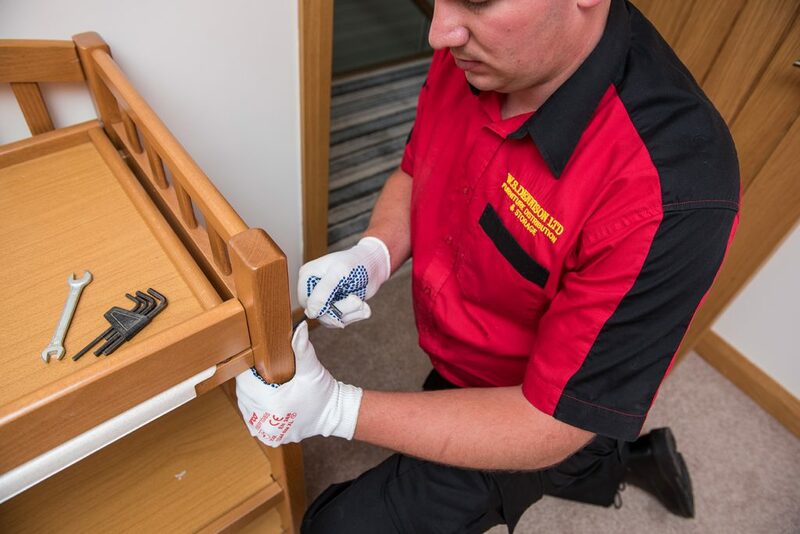 We work with the highest levels of consideration, care and precision, and offer full accountability at every stage of the process, giving you peace of mind that your irreplaceable possessions will get to the new location in the same condition that they left. 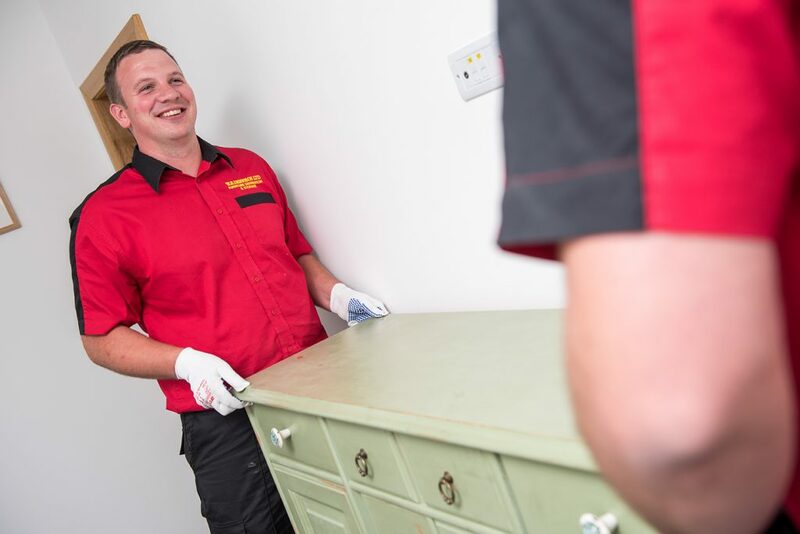 The level of service provided is entirely up to you – from straightforward removals to furniture dismantling, packing and unpacking; and our fleet of vehicles can cater for any size of removal, up to full-load, cross-channel operations. Packing & Unpacking Service: As an option, we can securely wrap and pack belongings and can dismantle furniture. You can opt for a complete packing service or simply seek our assistance for select fragile or sentimental items. If you prefer to pack yourself, we can supply cartons and quality packing materials if required. After transportation, we deliver to the room of choice or can unpack and position items in the appropriate rooms if this is your preference. We can reassemble furniture and install electrical goods. As a licensed waste carrier, we also provide customers with a service to dispose of unwanted items or packaging, via a combination of recycling and charity donation. All white goods are disposed of in line with EU regulation, Waste Electrical and Electronic Equipment (WEEE). Our removals team will always be uniformed in fully branded, protective clothing, plus we supply, install and remove work surface and floor coverings prior to starting any removal to safeguard both the goods being moved and the floors and walls at the removal or delivery location. At W.S. 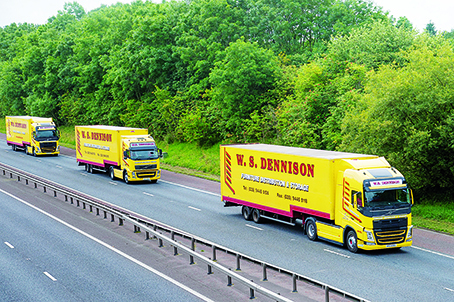 Dennison, we believe that relocating, whether it be moving to a new home or office, should be an exciting time. Our aim is to minimise the inconvenience to you, allowing you to focus on the positive experience that it is meant to be.